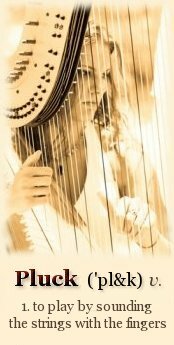 Emily White is a harpist native to the Carroll County, Maryland area. She began playing at the age of ten, and has developed her skills through private lessons, numerous workshops, and college-level courses. She has played with a variety of chamber ensembles, providing music for various special events and concerts. Emily graduated with a B.A. from Thomas Edison State College in New Jersey in 2005. She has also received Certificates of Distinction in Practical Examinations and Theory from the Associated Board of the Royal School of Music in Great Britain. She has studied with harpist Brieta Allison, who was a student of the renowned Cleveland Orchestra harpist and Oberlin College teacher, Alice Chalifoux. In addition to playing the harp, Emily is also a vocalist, and plays the piano, violin, and viola.